The last two sentences are telling. Following around four hours of deliberation, councillors voted 11 to three in favour of the development. 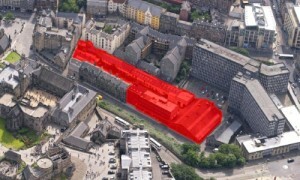 There is a little more detail from the Edinburgh Reporter that the site will involve “59 residential units, a 92 bedroom boutique hotel, 167 student flats, an arts facility, and a range of commercial units.” There are also more detailed comments from those who opposed the planning but nothing from the Greater Grassmarket BID. As far as I am aware their position was that they could not support or indeed really comment until there were full details on what type of hotel and retail was envisaged. Neither of these things are essential to get planning but when I spoke to the developers at the consultations they said it would be unthinkable not to have these details in place along with an arts partner before going before the planning committee. What is stunning about all this is that Edinburgh Council knew exactly what was needed on the site. After the piece in The Evening News about my vision for the area (given it was round the corner from our old Grassmarket shop) I was contacted by the council, the architects that had been commissioned to do a study of what was needed and various other related organisations. They all spoke with one voice. Improving footfall was essential and the continued decline of the Grassmarket footfall figures since have only confirmed that. People walking along Princes Street, up to the High Street and down Victoria Street should be encouraged to continue through the Grassmarket along King’s Stables Road and back to Princes Street in a circular motion rather than turning back and returning via the Mound. Others might care to walk through the West Port and continue that way. With the Usher Hall and Filmhouse among other arts facilities nearby the site could become a gateway to an arts hub. Just as importantly the old developer’s trick of claiming there would be some “interesting retail” would not be acceptable. Too many units had lain empty long after hotels, flats and offices were built while arts facilities either failed to materialise or were greatly reduced. This site was about “credibility and deliverability”. Even that wasn’t good enough in that the site also had to become an “attraction” outwith its arts complex and retail. There had to be detail, hard facts and partners in place for every area of the project. A tough ask but very sensible in that it recognised just what was needed to revitalise what was a completely dead area. All of this came from or was confirmed by Edinburgh Council at meetings on the site. I agreed to consult with interested developers introduced by the council (there was no fee I should add) and it quickly became clear only one developer took the council’s wishes seriously. The rest were quite honest in that they would be aiming to do the bare minimum to keep the council happy while getting on with their hotel and flats. Wary of what little I knew about these things I questioned would somebody not come in offering lots of money and all these noble plans be forgotten. No I was told there was a points system in place that meant just money couldn’t buy this site. When I was told it was indeed a last minute larger financial offer that had scuppered the bid I was involved with I did later ask under FOI how the decision had been arrived at but was told this was commercially sensitive information while planning was in progress. Maybe they will say something now ? 18 months later and everything the council said wouldn’t be allowed to happen has happened. The arts complex is now a small arts facility with no detail, there will be unspecified retail units and the “attraction” was forgotten long ago. Peveril the developers who won the bid did ask to meet me straight after the decision and were happy to admit their arts complex ideas consisted of a blank piece of paper saying “Arts Complex”. That I was told was how it worked. They would consult to see what was wanted. While the rest of Edinburgh has had a small decline in footfall for a while now (still not great and worse than the rest of Scotland and the UK) the lat two months have seen footfall in the Grassmarket fall 39% each month and the months before were all substantially negative too. 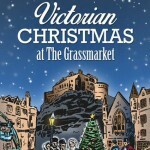 There had been a plan to boost footfall in the Grassmarket with a Victorian themed Christmas Festival last December. Unbelievably Christmas and New Year have become one of the quietest times of the year as everything is focused on Princes Street and St Andrew’s Square but the council voted to support residents who objected to the idea. When it is taken into consideration that Grassmarket footfall includes those that simply reach the bottom of Victoria Street and turn back (the counter is on the Grassmarket Hotel) and those who just pass by to get to the Cowgate the actual figures will be even worse. Furthermore the Grassmarket nighttime footfall has not declined anything like the daytime footfall which must therefore be down substantially more than the average figure. Finally as even Essential Edinburgh admit in their last report retail sales are worse than footfall though food and drink sales unsurprisingly have improved even with declining footfall so you can only imagine what the non-food, daytime, retail sales must be. It is precisely because of this every empty shop in the Grassmarket now becomes a takeaway that doesn’t need hot food consent. It didn’t have to be this way and the biggest problem is nobody is held accountable. When Avalanche moved to the Grassmarket not long after the 7.5 million pound pedestrianisation there was huge optimism for the area. Very quickly however the council withdrew support saying all their available resources were dealing with the problems caused by the tram works. All focus has since been on the Essential Edinburgh BID area which is already awash with money given the very many high profile businesses within the area while the Grassmatket and indeed the other surrounding areas have been abandoned. It wasn’t long ago the Grassmarket was being hailed as the new Covent Garden under new plans but when little materialises nobody is held to account. 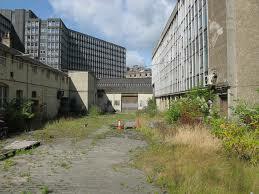 Of course what is planned is better than the current derelict site but it could have been so much more. The King’s Stables Road was a massive opportunity that will not come again and that has now been lost as the council looked to a short term financial gain that will have long term damaging consequences in the future. You can see the proposals I was involved with here.